It’s always hard shopping for Moms, because what we really want is a nap and a clean house. We are also often the ones taking all the photos. We care about capturing memories of our children. We want to remember what they look like as they grow.. and we want to cherish this time we have together instead of worrying about day to day chores and activities. 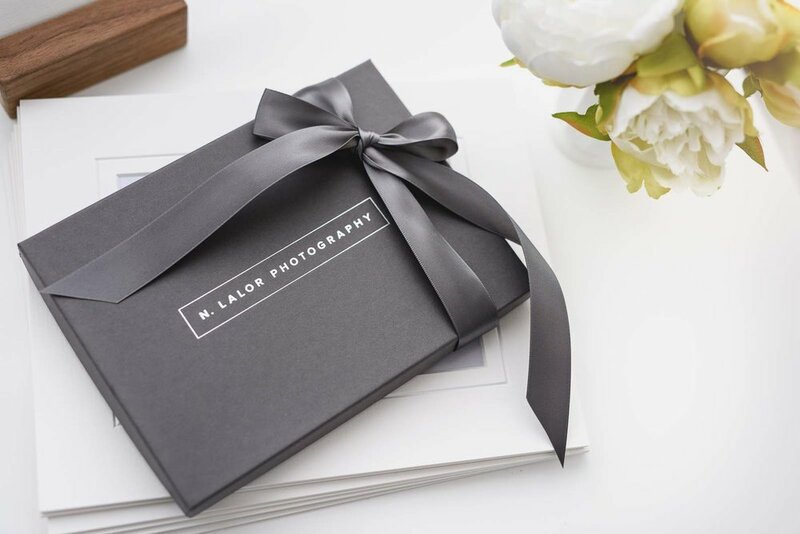 And so, giving a photography-centered gift to Moms is a great idea. But finding products that are both useful and chic can sometimes be a challenge. We’re past the point of ordering a photo mug and calling it a day.. because a cheap photo trinket doesn’t even come close to expressing our love and appreciation! Below is a list of some of my favorite gifts for photography-inclined Moms with young children. Because we all deserve something nice for the holidays! I love easy ways to display everyday prints, and Artifact Uprising does this really well with a stylish brass easel and prints set. It’s perfect for Mom’s desk at work or her home office, as a reminder of fun family moments and memories. Artifact Uprising has great printing quality that is both durable and color-accurate.. which is why it’s my top choice as a consumer printing lab. Their ordering software is super easy to use too, and takes just a few minutes. Photo ornaments are really fun because they combine both Christmas and a photography keepsake in one. The best part is when you’ll bring the ornament out year after year and remembering what the kids looked like at that time. 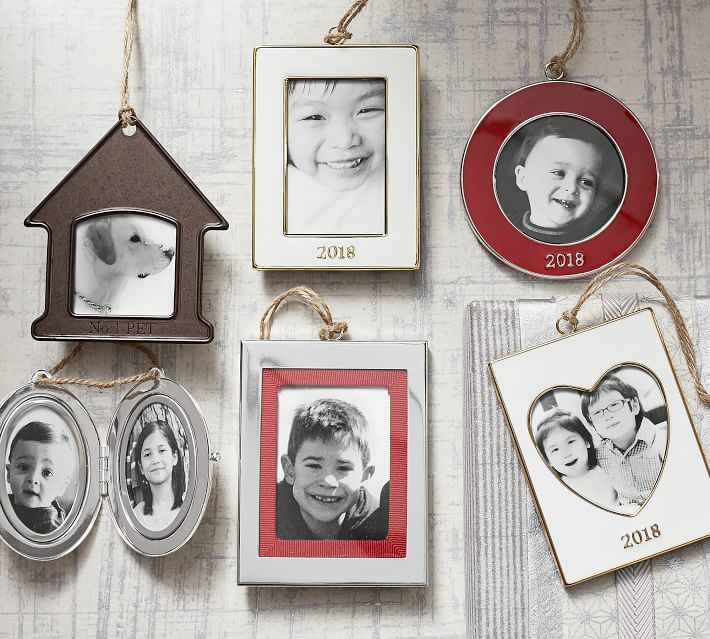 There are many options for holiday photo ornaments, but I love the classic look of the ones from Pottery Barn.. which will right fit in on any Christmas tree. 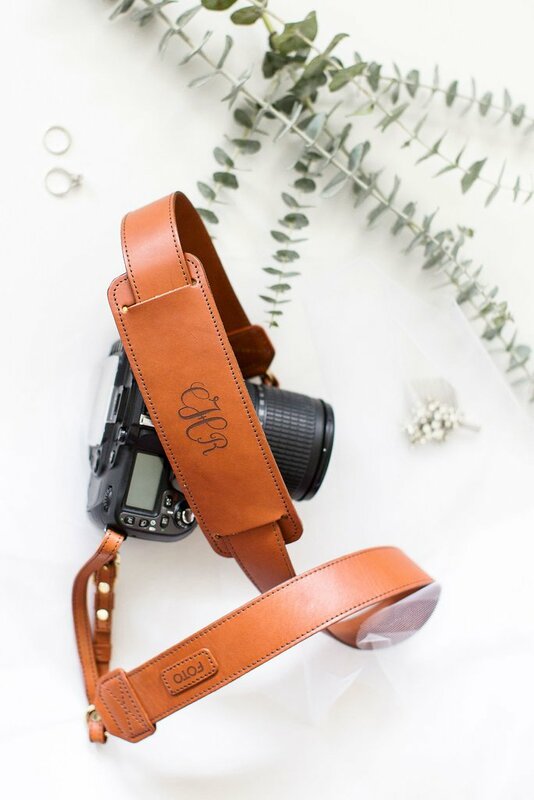 If Mom has a fancy camera, an upgraded (and personalized) camera strap is a thoughtful gift anyone can appreciate. Yes, these leather camera straps are expensive, but they’re also quite stylish.. and will last through several camera upgrades. Most of all, I love the personalization aspect of it, which can be initials or a full name. For Moms who just had a baby (or are currently pregnant), this cute photo album is a fantastic way to keep track of baby’s growth in the first year. Why not just go for a baby book, you ask? Because those require a lot more time and effort! This little album comes with month indicator cards and slide-in spots for photos every month. It’s easy and doesn’t take a lot of effort, which is perfect when you have a new baby. Most photography books are not worth the price.. which is why I like “Capture the Moment”. There’s enough practical instruction to learn, but it’s also accompanied by beautiful photograph taken by Moms. It’s not a technical manual.. but more of an inspiration for those of us who want to capture everyday moments in a beautiful and artistic way. It will leave Mom inspired and ready to explore photography in a creative way. Instant cameras are really fun, but often you get blurry or overexposed images. I love this wireless printer because it’s very much the same concept, but you have full control over the photo that is printed. There is an app and the whole process is completely wireless.. and while I don’t personally have one of these, you can safely say that I would definitely love to have one. One of the biggest challenges for Moms in winter is trying to take photos outside. We often have poor circulation and our fingers get cold really quickly when we try to change camera settings. And technical gloves aren’t nearly as good for working with a camera as a pair of convertible mittens. I’m not sure why, but it’s really the best way to keep my hands warm but still have the flexibility and traction needed to work with buttons and that little dial on top of the camera. I used to have a camera backpack.. which was practical and bulky, and also screamed “camera gear” whenever I brought it out. 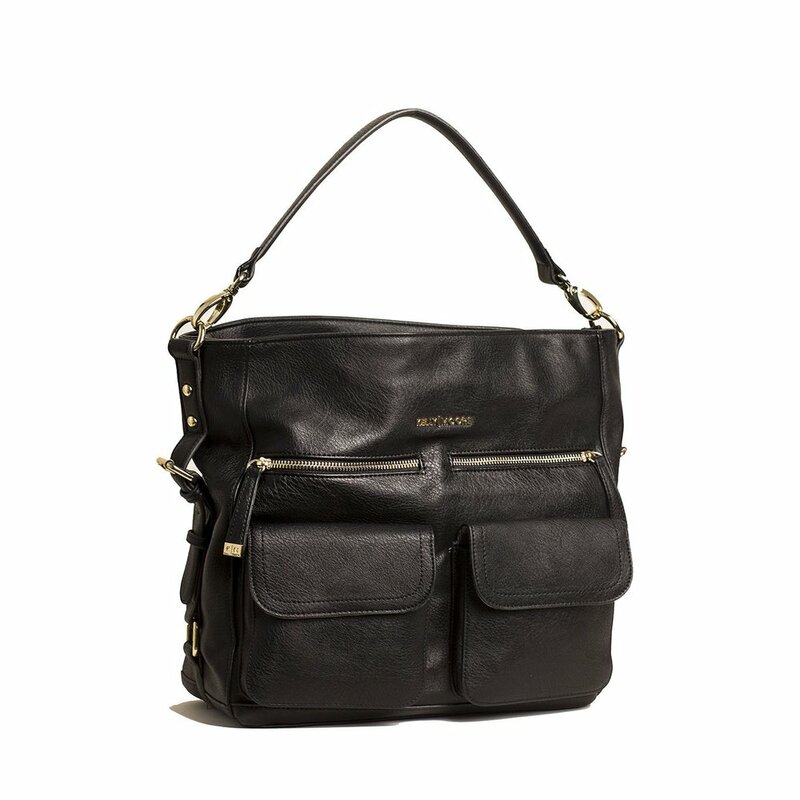 And while I don’t have one of these fancy camera bags myself (I use a padded insert that I can put into different bags as needed), any Mom with a camera would probably absolutely LOVE a Kelly Moore bag. They are great overall bags (for laptops and everyday items like diapers and kid snacks), but have padded compartments for camera and lenses. So they’re both stylish and practical! Who doesn’t love that? Now, as this is MY list of Top Photo Gifts for Moms, I am going to throw it out there that perhaps Mom might like a family portrait that she’s actually in (and likes the way she looks). You can get Mom a gift card for a photo session, or even go ahead and book the date yourself. The best part about the process is that Mom won’t have to get everything ready on her own (every session includes an in-home wardrobe appointment and professional hair styling). Most of all, she will know that you care about her - that you want her to exist in photographs - and that is the best gift anyone can give. It’s sometimes hard choosing photo gifts because there are so many crappy and useless things out there. There is such a variety because photographs are so important to us. But a well-curated gift can be truly appreciated and enjoyed by the recipient. Most of all, I hope you make the Moms in your life feel appreciated and loved this holiday season, because they certainly deserve it!